Dutch designer Piet Boon’s eponymous studio envision every detail of a design from the exteriors to the interiors, lighting and upholstery. They’ve worked on major projects all over the world, most recently as the lead design team behind the major new Caribbean resort Half Moon Bay Antigua. Here we put Piet Boon in the 6 Questions hot seat. 1. What’s your ideal working atmosphere to channel creativity? The ideal working atmosphere for me? A balanced environment free from dissonance. I believe that creativity is a state of mind, so I like to get rid of distractions when I need to think. At our studio we need to be creative every day because our clients rely on us to deliver the best. It is therefore crucial that our workspace facilitates creativity. The interior is timeless and calm, but is also filled with art and beautiful objects to inspire and provoke creative thinking. The best ideas arise when our designers come together and think out loud. You get positive vibes, good discussions and a lot of energy. We then bounce off each other’s ideas and create the most amazing design solutions. 2. Can you tell us about your vision for Half Moon Bay Antigua? 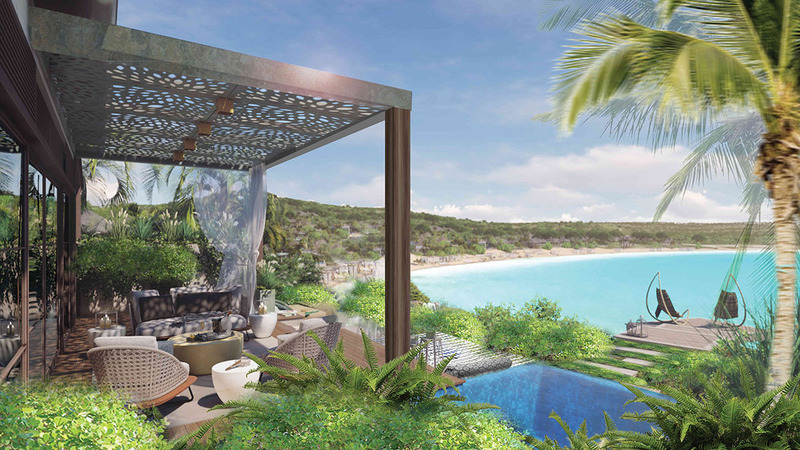 Our vision for Rosewood Half Moon Bay Antigua is to, together with landscaper VITA and architects OBMI, create an ultra-luxurious hospitality destination that blends in with its natural surroundings as if it came up from the ground and has always been there. This vision will also apply to the Rosewood branded residences surrounding the hotel: design imbued with a strong sense of place. At the same time, guests will experience comfort and understated luxury at every turn. At Half Moon Bay nature reads as a prominent feature. Just like the typical typology of the island, the rooftops at Rosewood Half Moon Bay are kept below the treetops, allowing the units to blend in from all angles. An inside/outside connection was also the key point for the design. Bespoke contrasts weave the natural surroundings throughout the interior and exterior of every room. We envision Half Moon Bay to be an unparalleled Caribbean retreat where both hotel guests and those who own a branded residence or one of the bay’s ten estate residences can relish in luxury, comfort and time. 3. What’s been your most challenging project to date and why? Every project has its own challenges and in different ways. That can vary from time constraints to building regulations, and from weather conditions to challenges specific to the location. Our first project in New York was a very large apartment on Fifth Avenue that we were commissioned to renovate completely…within a time-frame of three months. That was a bit of a challenge. We managed to deliver, and the result was great. That client has been with us ever since. 4. Is it important to develop a signature style as a designer? I would think so, definitely. How would you be able to differentiate otherwise? What would be the added value for clients to come to you? Even more important is being consistent when it comes to your signature. Staying true to your values and identity. We have been designing for over 35 years now, and although our designs have evolved, we still maintain the same signature. I think that that is also the reason why we are still able to do what we do; balance functionality, aesthetics and individuality. Clean lines, strong axis, subdued colors and rich natural materials have informed our work from the very beginning. 5. Do you have a favourite material to work with? 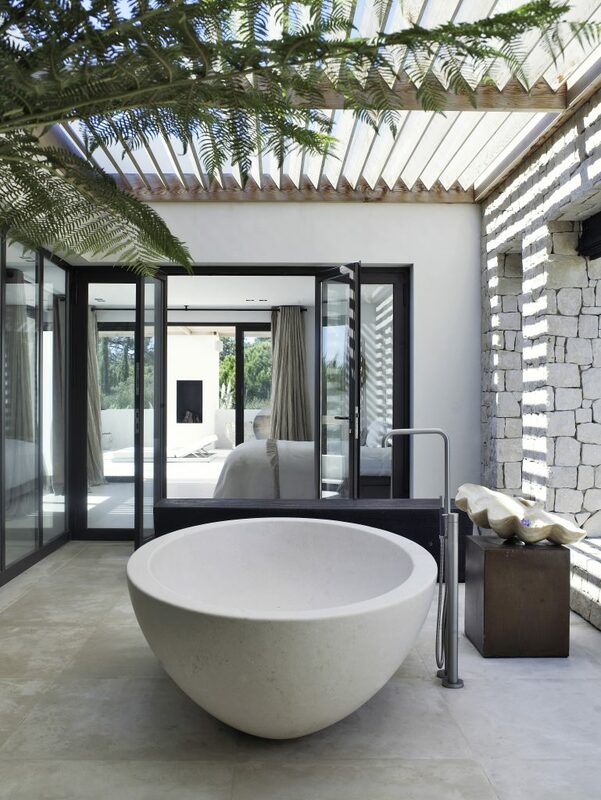 At Studio Piet Boon we like to work with rich natural materials. Not only because of the quality, look and feel, but also because they become even more beautiful over time. When we design something, we want it to last. Or at least last very long. Another material I like working with is concrete. Firstly, it is a strong and durable material, secondly, it’s honest and beautiful; sober and at times even breathtaking. 6. Are trends valuable in design or a hindrance? That depends on how you go about them. You should use them in a way that you benefit from. It becomes a hindrance if you have to unnaturally adapt yourself for the sake of following a trend. I must say that we’ve never been trend followers. We observe the world around us and find inspiration in many things, and use this in our designs and creations.